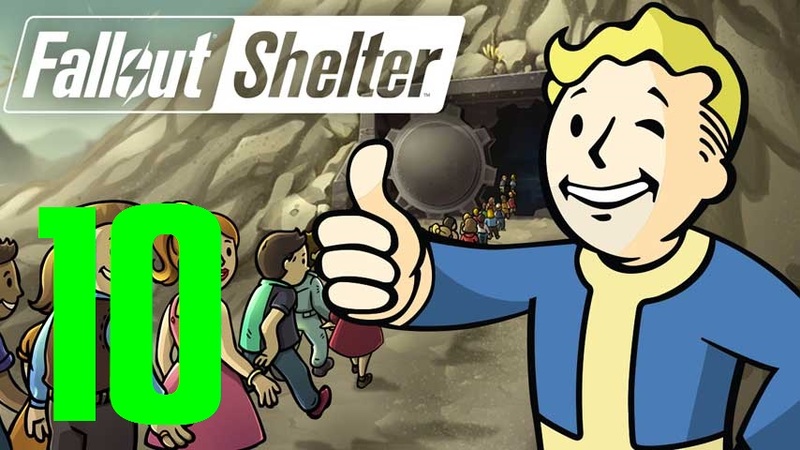 FALLOUT SHELTER #1: Can you guess what Vault number I chose? FALLOUT SHELTER #2: I Don’t Want to Set the Vault on Fire …. FALLOUT SHELTER #3: Obey me and Dance! FALLOUT SHELTER #4: It’s Raining Babies! FALLOUT SHELTER #5: Is Debase Still Alive? FALLOUT SHELTER #6 : Close the bloody door! FALLOUT SHELTER #7 : Is Pixel still alive? FALLOUT SHELTER #8 : Let it burn? FALLOUT SHELTER #9 : Can we please go 2 minutes without a fire? FALLOUT SHELTER #10 : Banish the Adulterer! FALLOUT SHELTER #16 : I do not know what to name this episode! FALLOUT SHELTER #17 : We need more stimpacks! FALLOUT SHELTER #18 : Let’s Go Nuclear! FALLOUT SHELTER #19 : Lord Chayification has arrived! Really this time …. FALLOUT SHELTER #22 : Roll Call – Let’s check each dweller one at a time …. FALLOUT SHELTER #27 : The Hunt for Legendary Continues …. Badly. FALLOUT SHELTER #4: It's Raining Babies! FALLOUT SHELTER #18 : Let's Go Nuclear! FALLOUT SHELTER #27 : The Hunt for Legendary Continues .... Badly.